The modern scientific explanation is that needling the acupuncture points stimulates the nervous system to release chemicals in the muscles, spinal cord and brain. This can help reduce pain, improve circulation to and from an area and improve lymphatic drainage and organ function. Acupuncture may be beneficial in treating musculoskeletal pain, period pain, stress, headaches and internal/visceral problems. Acupuncture is an ancient Chinese healing art. It involves inserting fine needles and sometimes applying heat at acupuncture points to relieve pain and promote natural healing. The classical Chinese explanation is that energy (Qi) runs in channels and regular patterns throughout the body. These energy channels, called meridians, are like rivers that flow through the body to irrigate and nourish the tissues. An obstruction in the movement of these energy rivers is like a dam that blocks energy flow, causing pain and dysfunction. Acupuncture needles unblock the energy rivers (meridians) and re-establish the regular flow through the body. When these acupressure points are stimulated, they release muscular tension, promote blood circulation, and enhance the body's life force energy to aid healing. Acupressure therapy can be used to relieve pain, fortify the sexual reproductive system, detoxify the body and unblock Qi, in a similar fashion as Acupuncture. Cupping is very used for recent colds and flus, for muscle ache, for stagnation in the channels and to move blood, promoting healing. Glass cups have the oxygen removed from them and are quickly placed on the area to be treated, causing a suction of the tissue, releasing fascia and promoting blood flow and healing. Gua sha releases unhealthy elements from injured areas and stimulates blood flow and healing. It consists of scrapping the area with a smooth edged instrument. 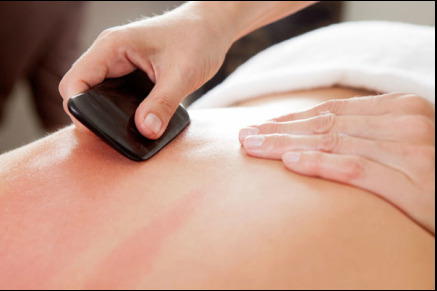 The practitioner, after the consult, decides which health conditions and cases gua sha is suitable for. Chinese Herbal Medicine is rarely prescribed as a single herb, formulas have more synergistic and powerful effect on the body. Moreover, they were formulated thousands of years ago, proving their efficacy and use. 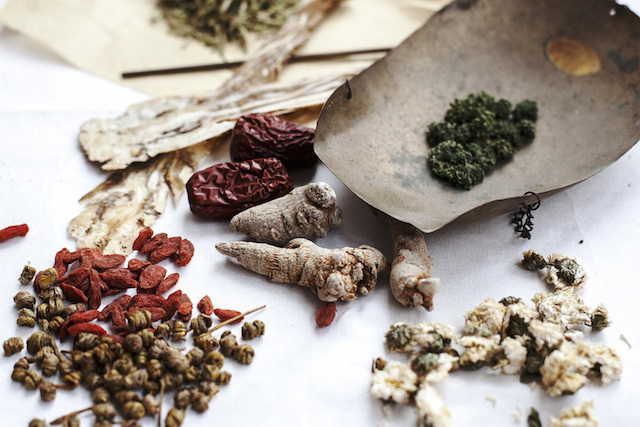 At Cavalari, we offer Chinese Herbal Medicine in two forms: powder (to make tea) and pills/capsules. A specific formula is prescribed to you upon face to face consultation.